In 1824, the Ordnance Survey was established to survey or map the island of Ireland for the purposes of taxation. This was an enormous undertaking. 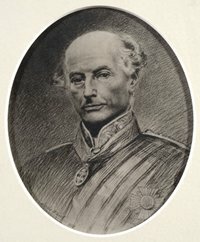 The Ordnance Survey was a division of the army and was under the stewardship of Colonel Thomas Colby. He was assisted in his work by Lieutenant Thomas Larcom. Colonel Thomas Colby, 1784 - 1852. This survey produced detailed maps on a scale of six inches to one statute mile, and the entire country was mapped by 1846. The county of Galway was mapped by 1841, and these original OS maps are available online at http://places.galwaylibrary.ie/maps. As part of the work, local placenames were corrected and authenticated. This task was undertaken by the 'topographical' division of the Ordnance Survey. 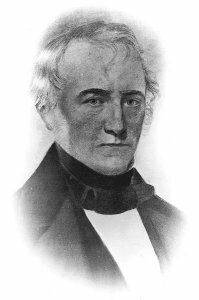 In 1830, the Gaelic scholar and antiquarian John O'Donovan was employed as a field-worker by this body, and other field workers worked under his direction. Together, they compiled the Ordnance Survey Field Books which can be viewed at http://places.galwaylibrary.ie. These books contain information on each placename, a translation of the placename which is often fascinating, the placename's description and its situation. The compiling of these books required the visiting of every townland in Ireland and the gathering of information relating to each placename. The result is a veritable treasure trove of information about pre-famine Ireland. While undertaking this arduous work, O'Donovan frequently wrote to his supervisor in Dublin, Thomas Larcom. These letters are known as the Ordnance Survey Letters, or sometimes as the O'Donovan letters. Sir Thomas Larcom, 1801 - 1879. In these letters, O'Donovan frequently elaborates, justifies or defends his translation of a placename. For example, this is what he has to say about Headford. It is not a very ugly little town though one will be a good deal annoyed by the fleas (flays) at the Head Inn, which looks a clean house...Tradition states that it received its name of Ath Cinn or Head-ford from a number of heads which were cut off here and thrown into the ford after the bloody battle of Sruth-fuil or Sruille. The letters are a rich source of local history. They provide information on folklore, family history, churches, abbeys, kings and saints. 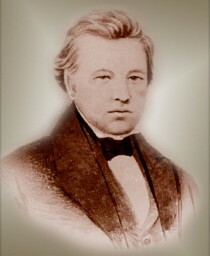 John O'Donovan, 1806 - 1861. They also provide an insight into the age-old problems which have beset every public administration. We are put to great inconvenience for not having the name books in time. When O'Conor went to Ahascragh he could have done the parishes of Fohanagh in the Barony of Kilconnell, Killasolan in the Barony of Tiaquin and Kilkerrill in the barony of Clonmacnon. Now he must go back perhaps twice to the same place. We should have all the books of those baronies together, otherwise time must be wasted, and expences otherwise unnecessarily incurred. He had certain issues with his 'Human Resources' department. To employ men who have a smattering of barbaric knowledge of the Irish language to guess at the names in an Office in a country town is truly ridiculous, and must finally lead to error, or be of no use whatever. The enormity of Galway County was borne in on him. O'Keeffe has not arrived here yet; I hope he is not knocked up at Eyrecourt. O'Conor is at Mountshannon whence I expect him back to-day. The extent of this County is extraordinary! O'Keeffe returned hither from Eyrecourt on Thursday evening, but O'Conor is still somewhere between this and Inis Cealtra. We shall never be done! On occasion he had doubts about the value of his work, and was subject to a certain amount of self-doubt. Too much time is surely lost in writing letters, and describing churches which should not be our province at all; for in the first place we have not sufficient skill as draftsmen to draw them in such a manner as would be of any use here after and moreover we have not sufficient skill as antiquarians to pronounce a correct opinion on their age. Should we not therefore give up describing churches altogether, and confine ourselves to (ascertaining the townland) names and identification of historical names? Sometimes, O'Donovan's understandable frustration at the difficulty of his task is reflected in his writing. He was exasperated at the work of certain scholars. ...he has not thought proper to tell us ... where the places mentioned are situated. He knows more about potatoes than antiquities, which leaves him a rich man. The calling into question of his translation of 'Ailleach' infuriated him. It vexes me a good deal to find that Sir William Betham has attacked the translation of the poem on Aileach, because it is too outragious a humbug...But how in the name of common sense can Sir William Betham be able to translate an old Irish poem? He cannot speak the language; he cannot read it; he does not know its idioms or syntax! ... I abominate barefaced dishonesty, and I think this is carrying it to its ne plus ultra. In truth, his working conditions appear to have been much worse than those endured by the typical public servant. At one point he complained about "wet turf, sleeping in bogs, damp beds, potatoes, little turnips, half baked bread, adulterated tea, 'no meat', broken pains (of glass) and paying 2/6 per diem for an office to work in". The letters for Galway are now available on this site, and we hope you enjoy reading them. If you notice any errors, please email us. 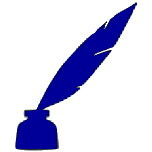 This web site is based on the book 'Ordnance Survey Letters Galway', edited by Michael Herity MRIA and published by the Four Masters Press in 2009. This book is one of a series of books. Galway Public Library is grateful to Michael Herity for his permission to use his work.